Preheat your oven to 400 degrees F. Lay out vegetables on parchment paper over a baking sheet. Season with salt and pepper. Drizzle olive oil over the vegetables. Roast for 35-40 minutes until vegetables are soft. Remove peels from onion and garlic. 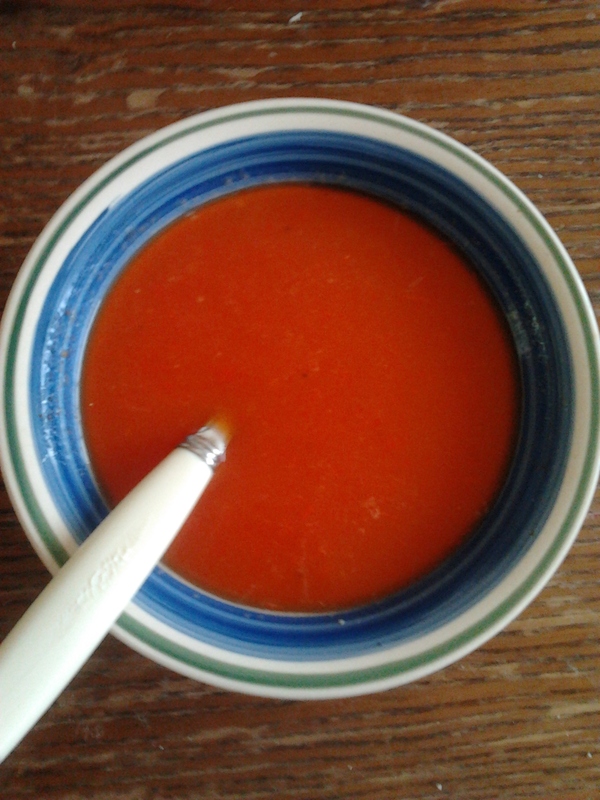 Scoop out flesh from the tomatoes and transfers all the vegetables into a soup pot. Sprinkle thyme and oregano. Pour broth and cook over medium high flame covered. Bring to a boil. Remove lid and let it simmer for 25-30 minutes. Puree vegetables with hand blender or in a food processor. Season with salt and pepper if necessary. I made this peach bread this morning. 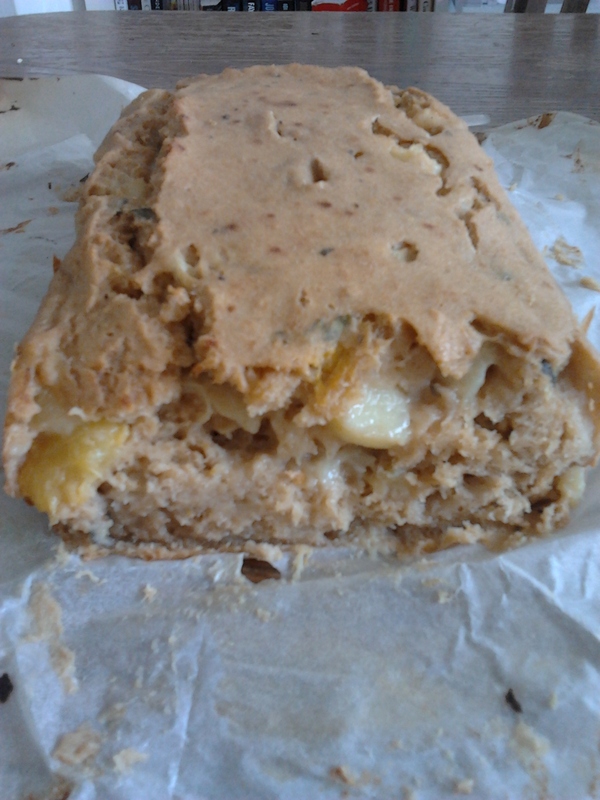 This bread is similar to a banana bread, but so distinctive in its savor and moistness. Only this time, I decided to include basil for excitement and taste. My daring attempt paid off because as bizarre as it may seem, basil and peaches compliment each other in terms of flavor. For this recipe, I used peaches (hence the name) but you can also use nectarines which is just as delicious. I normally help myself to a slice for breakfast but you can serve this as a side dish or a dessert. Although it doesn’t contain yeast like a normal bread would, its not as sweet as a cake either. Its a loaf that looks like a bread and that’s where its name originated from. Preheat your oven to 350 degrees F. In a bowl, mix all the dry ingredients together. In a separate bowl, beat eggs and sugar. Add applesauce, peaches/nectarines, and vanilla and mix well. Combine dry ingredients with the wet ingredients. Stir in basil. Pour mixture over a greased 9×5″ loaf pan. Bake for 45-50 minutes. 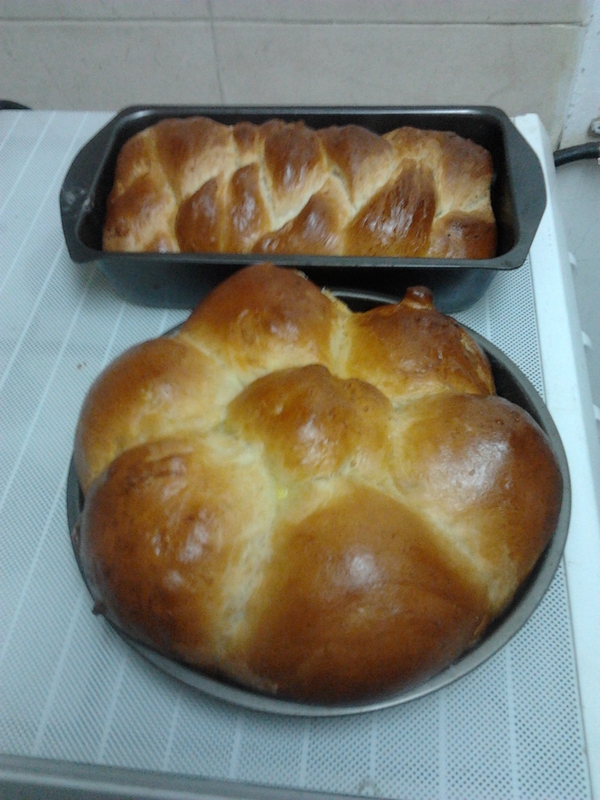 Cool bread in pan 15 min; remove from pan and finish cooling on wire rack. This entry was posted in Breakfast, Side Dishes, Vegetarian. I was invited to spend a Shabbos with one of my very good friends last week. She made a special request for a broccoli side dish. Having not made kugel in a very long time, I pursued the idea to make a broccoli kugel. Most kugels are very oily made with schmaltz , obscene amount of eggs; ingredients that catalyzes high cholesterol and blood pressure. I very seldom prepare kugel for that reason. I found a kugel recipe that it tasty, creamy, and healthy. This recipe has been simplified for your viewership. This broccoli kugel contains matza meal but for a more gluten free version, you can use gluten free flour or corn starch. For a dairy version, lightly sprinkle Parmesan cheese on top. Preheat oven to 375 degrees. Divide broccoli into medium florets. Cut peel from large stems and slice them. Boil broccoli in a large saucepan of boiling, salted water for 7 minutes or until very tender. Drain well and cool. Puree in a food processor, leaving a few small chunks. Transfer to a bowl. Spray a medium nonstick skillet with cooking spray. Add onion and sauté over medium-low heat for 7 minutes or until golden brown, adding 1 to 2 tablespoons hot water if pan becomes dry. Add garlic and sauté for 30 seconds. Add eggs and matzo meal to broccoli mixture and mix well. Lightly stir in onion mixture and any oil in pan. Season well with salt and pepper. Grease a shallow 8-inch square baking dish. Add broccoli mixture. Sprinkle 1 tablespoon oil over top. Sprinkle with almonds and paprika, if using. Bake in upper third of oven for 40 minutes or until set and very lightly browned on top. Remove from oven and run a knife around edges. To serve, cut carefully in squares. Use a spoon to remove portions. In a medium bowl, dissolve yeast and 3 tablespoons of sugar in 2 cups of warm water, cover loosely with a towel and set aside. Place salt in a huge plastic bowl. Add flour to bowl. Add sugar and 5 eggs. Yeast should now have bubbled/foamed and doubled in size, if yeast has not bubbled or does not seem active repeat the process again. Make a well in the middle of the flour mixture and slowly pour yeast and sugar water mixture into the well. Then add the remaining 4 cups of warm water into the well. Make sure the water is not too hot. Start kneading ingredients together and add a ½ cup of oil. For the next 10 minutes, knead, adding another ½ cup of oil slowly during that time as needed to create a workable dough. Dough shouldn’t be too sticky and also should not be dry. It should become one cohesive mass. Rub a little oil over the top and around the dough. Cover bowl with a kitchen towel. Place covered bowl in a medium plastic garbage bag and place open ends of the bag loosely underneath the bowl, trapping in air. Place in a warm spot and let rise for 1 hour or until doubled in size. Punch dough down and knead (lightly oil your hands if necessary), flipping it and releasing any air bubbles. Cover again, using the towel and the bag, and let rise 1 more hour. Lightly oil your hands, and punch down again. With a sharp knife divide dough into equal parts. Shape dough to your desire. Liberally spray 4 (9-inch) round baking pans with non-stick cooking spray and set aside. Preheat your oven to 350 degrees F. Place dough in the pans. Brush them with beaten egg. Bake challas for 35-40 minutes or until the challas are golden brown. Allow then to come to room temperature before serving. Pasta dishes are one of my favorite dinners. From spaghetti and meatballs to baked ziti, I use an innovative and holistic approach to enjoying these dishes without the guilt of consuming the excess amount of fat. There are over a 100 casserole recipes and vegetables does give the pasta a healthy and hearty balance. This dish retains the creaminess without the heavy cream and butter. I include my cheese sauce that curtails the calories, fat content and cholesterol. This cheese sauce is plentiful and can be put away for later use. I use onions,mushrooms,tomatoes, zucchini, and spinach for this dish but this dish can be savored with many other produce. You can use squash, asparagus, broccoli,peppers,carrots, etc. I recommend fresh spinach if using. Rather than sauteing it with the other vegetables, I add it after the penne (a.k.a. 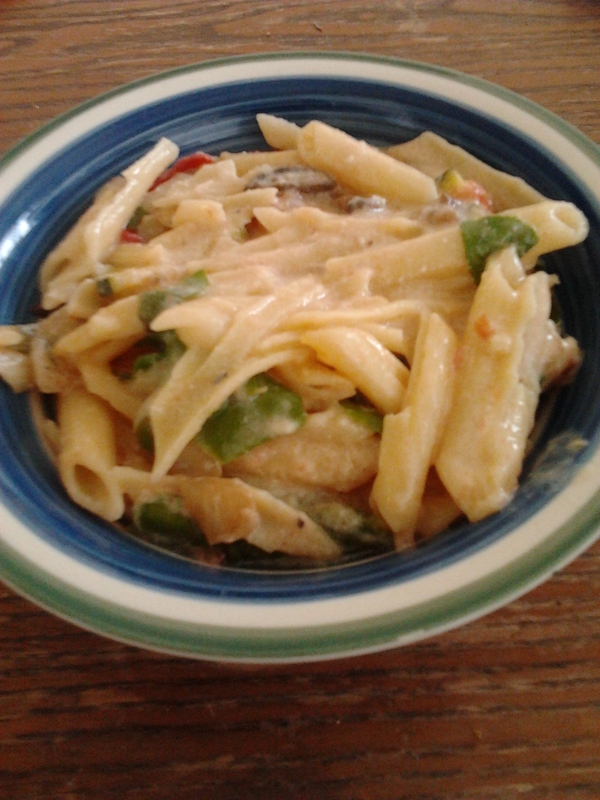 ziti pasta), and vegetables have been mixed well. The reason for this is to preclude the spinach leaves from wilting. When it comes to using raw vegetables, its important that they are washed well and thoroughly to clean out any chemicals or insects that might be imbedded in them. I have happened to have caught a small worm making its way around raw broccoli that I was going to prepare. Since we are forbidden from eating bugs, we are required to check our raw produce before using them. Fill a large pot with water and sprinkle in a generous pinch of salt. Bring to boil and add the pasta. Cook according to package instructions. Preheat oven to 375 degrees F. Grease a large non-stick skillet with cooking spray and add the garlic and onions. Saute over medium until garlic and onions are caramelized and fragrant. Add the zucchini, tomatoes, and mushrooms, season with salt and pepper and cook for about 7 to 8 minutes or until the veggies start to cook down and start to develop a nice golden brown color. Drain the pasta and add it back into the hot pot. 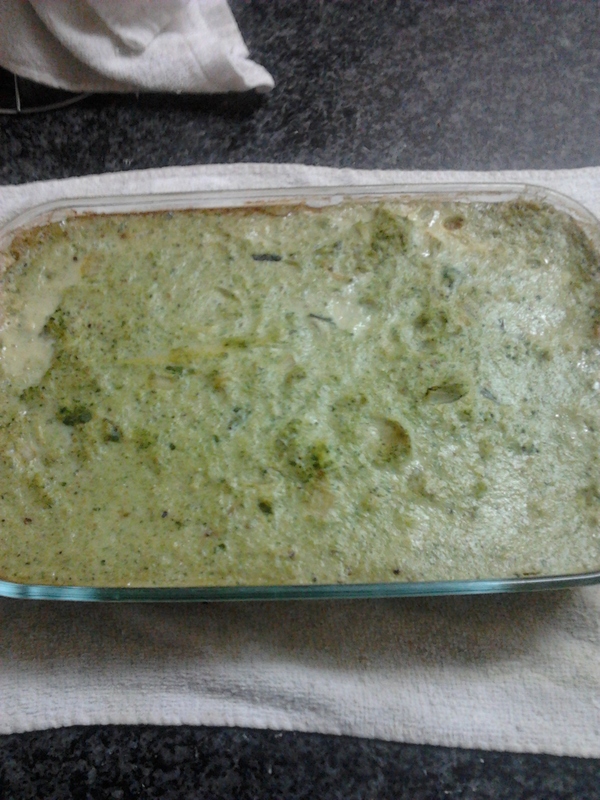 Add the sauteed vegetables, spinach and about 3 cups of cheese sauce to the pasta. Stir everything together until the cheese sauce is coating every piece of pasta. Add half of each kind of cheese and mix all together. Place in a casserole dish and top it with the remaining sauce and cheeses. Bake covered for 45 minutes and bake uncovered for the remaining 15 minutes. Serve hot. This entry was posted in Dairy, Vegetarian. I originally planned to make a walnut crusted flounder. 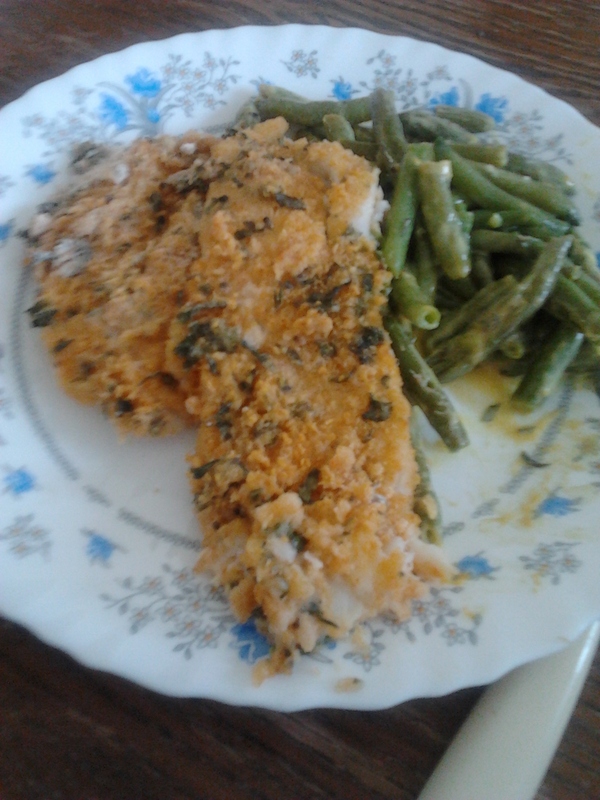 Due to my husband’s nut allergy, I used flour and corn flake crumbs to give the flounder a crunch. I also greased the pan with cooking spray ; a technique used to cut the fat content. Flounder fillets are thin and small with a milky color that cooks up white. The mild delicate taste of Flounder is sweet and has a delicate texture with small flakes. Because the flounder appeared to seem delicate, I was nervous about cooking it but the results weren’t completely disastrous. It is important to keep an eye on this fish when its cooking because it is vulnerable of falling apart. A little lemon/lime juice enhances the taste in this fish. Some people like to drizzle butter-wine sauce over this fish and you can do that but I won’t be using this condiment for this recipe. This dish serves well with string beans, mashed potatoes, or wild rice. Wash fillets in cold water and pat dry. Sprinkle with salt and pepper. Pour flour and crumbs in a zip-lock bag. Add the herbs and spices and shake well till combined. Melt butter in a sauce pan. Remove pan from stove. Add in mustard and lemon juice. Mix well till thick. Grease a heavy-bottomed skillet with cooking spray and heat on medium-high. Dunk each fillet over the mustard mixture till covered. Then dredge the fillet in the flour mixture. Keeping heat at medium-high, cook fish on 1 side about 3 minutes (more or less, depending on size of fillets), until deep brown and crispy. Turn fish and cook on second side, about 3 minutes. Turn fish only once. Serve fish hot. This entry was posted in Fish. I haven’t made this salad in a long time. I remember this salad being devoured before I had a chance to serve it! Since strawberries are no longer in season and my husband suspects that he is inherently allergic to mango, I don’t prepare this dish as often. When I do, its me who ends up eating it. I do feel that fruit and vegetables blend well together but others beg to differ. I like the vibrant colors that the vegetables add to the salad. Strawberry is the one of the most popular berry fruit in the world. It is a rich source of vitamin C. They are also high in fiber, folate, potassium and antioxidants.Its juiciness and the deep red color improves the taste and appearance of the recipe. Mango,the king of all fruits is enjoyed by most people .Besides being delicious,it is rich in vitamins, minerals and anti-oxidants and it also contains an enzyme with stomach soothing properties. These ingredients adds a sweet and tangy flavor to this salad. The almonds gives this salad a crunch. I’ve been using almonds but you can use pecans if you prefer . If you have a nut allergy, you can omit the almonds. This dish makes a wonderful barbeque salad or it can be served at lunches or parties. 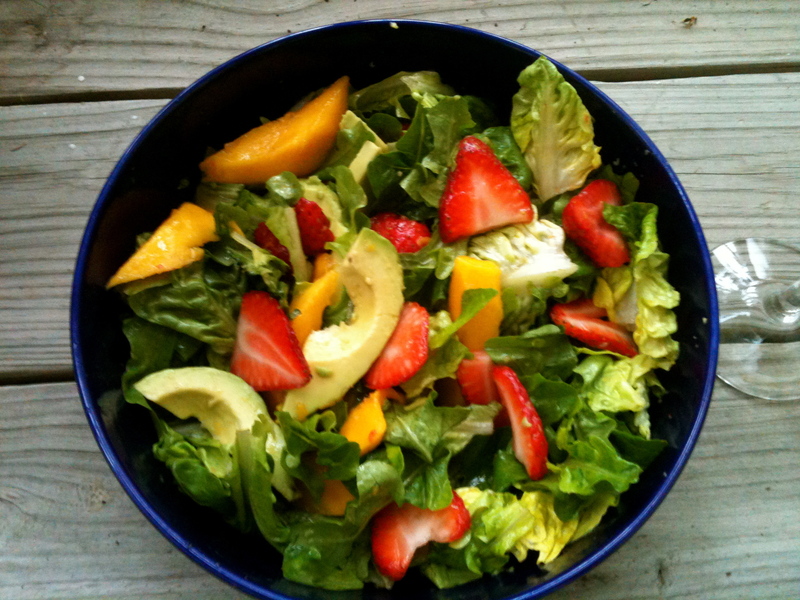 In a serving bowl, combine the salad greens, mango,onion, avocado and strawberries. In a small bowl, whisk the oil, sugar, vinegar and salt. Pour over salad; toss to coat. Sprinkle with almonds.